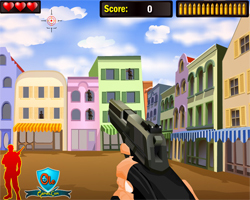 Crazy shooting game and the game can title sniper games. Simulate your war and kill every one never without shout your eyes. Becareful other wise you are shooted by enemies. Have a good games.